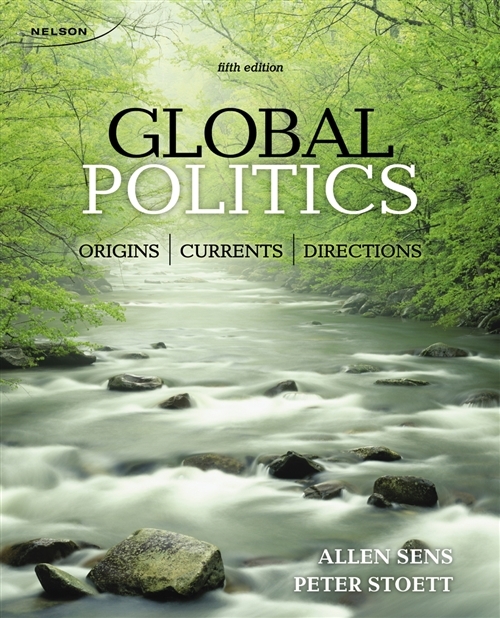 Global Politics: Origins, Currents, and Directions introduces readers to the rich and diverse experience that is the study of contemporary international relations, encouraging an appreciation of the theoretical roots of divergent perspectives on how the international system operates. The text, suitable for courses in International Relations and World/Global Politics, also establishes the vital historical context in which the modern world is embedded, and stimulates thoughtful analysis and critical thinking while promoting a healthy skepticism for established wisdom and prevailing assumptions. This fifth edition continues to reveal the human element of international relations by providing insights and biographies of individuals who have made an impact on the world in which we live. Reflecting the contemporary global environment and the issues faced by today's scholars, policymakers, students, and citizens, Global Politics gives equal attention to the theoretical developments and historical events of the past, the key issues facing us today, and the emerging agenda that confronts us all. As the full title indicates, this book looks to the future as much as it looks to the past and the present. The book does not claim to be a crystal ball but it does identify trends and themes, and challenges the reader to think about the issues and theoretical approaches that loom on the horizon.